This is not how Jason Pominville wanted to spend the final days of his 16th NHL season. The 36-year-old winger helped bring winning hockey back to the Buffalo for a week weeks in November, only for the Sabres to endure a historic slide in the season's second half. Yet, Pominville has proven capable of contributing no matter where he is placed in the lineup. For his longevity and passionate leadership on a young team, Pominville was named the Buffalo chapter of the Professional Hockey Writers Association’s nominee for the Masterton Trophy. The Bill Masterton Memorial Trophy is awarded annually to the NHL player who “best exemplifies the qualities of perseverance, sportsmanship and dedication to ice hockey.” All 31 PHWA chapters nominate one player, and the winner will be chosen among three finalists in June. "Definitely nice to be able to represent the team," Pominville said shortly after receiving the news Thursday morning. "I think it’s a trophy that represents a lot of perseverance and dedication. So to have a chance to be nominated and represent the team, city is definitely an honor." Pominville entered Thursday night's game against Detroit with 15 goals and 13 assists with a minus-5 rating in 68 games, which is on pace for his fewest in a non-lockout season since 2010-11. He thrived when skating on the top line with Jack Eichel and has found ways to contribute in the bottom-six, despite averaging a career-low 12 minutes, 28 seconds per game. 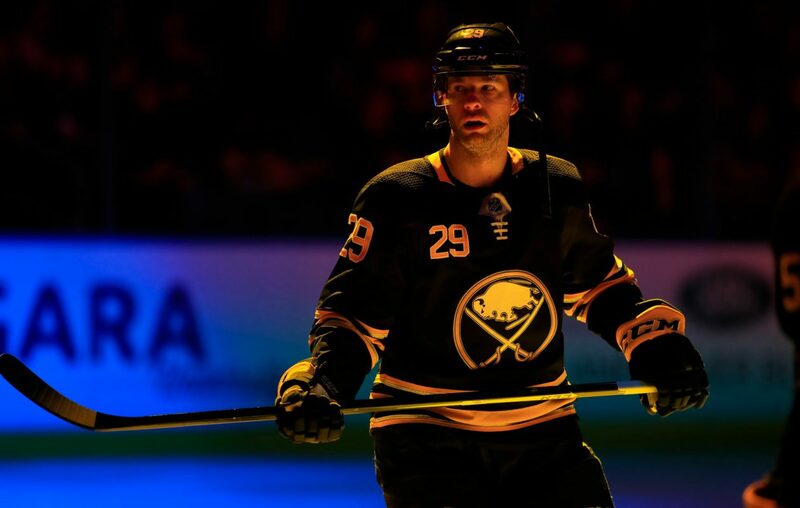 Pominville is no longer the Sabres' captain or one of their two primary alternates, but he is a steadying hand in a dressing room filled with inexperienced players. He has missed only five games because of injury or illness, while being a healthy scratch in three others. The honor has been bestowed upon players who have endured hardships – either injury or serious illness – but also recognizes the sort of dedication that Pominville has exemplified since he made his NHL debut with the Sabres in 2004. He appeared in his 1,000th career game this season, scoring twice on the day he was honored with a pregame ceremony, and has established himself as one of the franchise's greats. With his goal March 4 against Toronto, Pominville tied Don Luce for the 10th-most regular-season goals in Sabres history (216) and trails Rene Robert by six goals for ninth-most all-time. He needs eight points to tie Luce for seventh-most in franchise history (526) and eight assists to tie him for seventh-most (310). "I’ve always thrived on trying to do things the right way and present myself the right way to you guys, my teammates and the city. … It’s not going to change the way I do things. 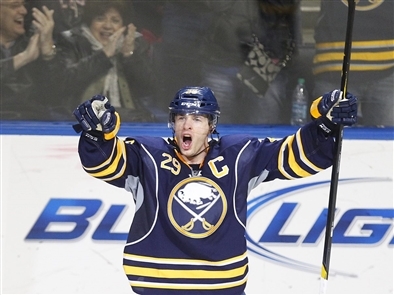 (It’s) just definitely an honor, for sure," Pominville said. These could be the final days of Pominville's tenure with the Sabres, as he is a pending unrestricted free agent. He has repeatedly expressed a desire to remain in Buffalo. While the future is uncertain, Pominville has forged his own legacy since begin drafted in the second round in 2001.